* Sam Dunklau talks with Jacob Torres, an entomology student at the U of I Urbana Champaign, who is trying to track data about bees and make it available to everyone. * Kate McGee of WBEZ tells how many universities are grappling with the limits of free speech on campuses. * Daisy Contreras has our Illinois Issues report, which examines tipped workers, and the exemption for them under the recently passed minimum wage law. 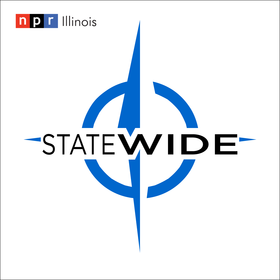 * Mary Hansen interviews Acting Director of the Illinois Department of Agriculture John Sullivan about his push for rural broadband funding in a state infrastructure plan. * Christine Herman visits with Carrie Vickery with Illinois Friends of Midwives to discuss plans to have Illinois license and regulate midwives. * We wrap up our series on affordable housing with a report from Illinois Newsroom's Steph Whiteside. * Dusty Rhodes tells us about a change in the hours of instruction required in a school day - from 5 to 0. * Jaclyn Driscoll profiles a freshman lawmaker, Rep. Karina Villa, and her efforts to improve mental health services. * Michael Puente of WBEZ travels to Dwight to hear about a controversial plan that could place a privately run detention facility for undocumented immigrants in that village.